Every year at Ton Towers we like to take a look back at the last 12 months and remind ourselves what we wrote about and how the village has changed. It’s been a pretty big year for changes in the village. plan2ride opened in March, followed by the Bike Shed in June. The Lewis Arms was refurbished in March and Podium Therapies opened for business in August. Castell Coch’s tea room got a makeover in October and Cafe Arosfa replaced Caffè Lucca (formerly Sugar and Spice) in November. It’s been a busy year for the site. 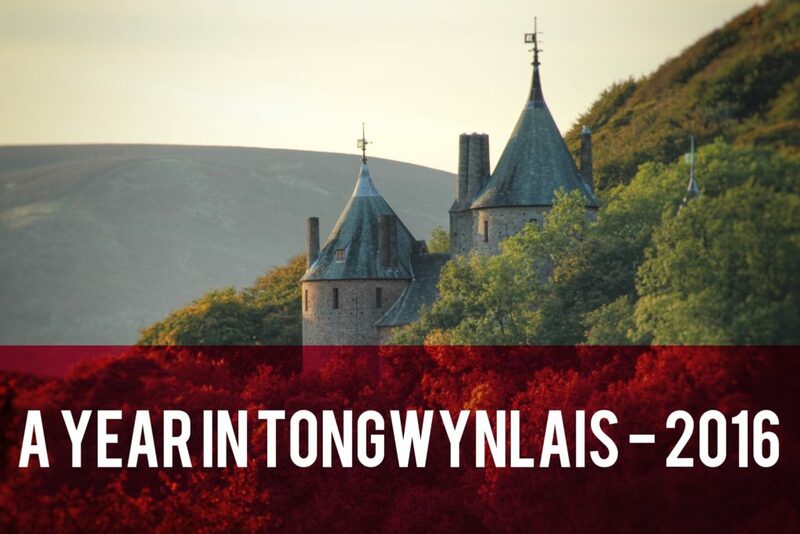 We launched our shop in January and published the first Tongwynlais.com newsletter in April. We also covered the Assembly Election on our sister site, mycardiffnorth.com. Personal highlights were the Ton 3 Peaks walk and interviewing Dewi Griffiths at the opening of the refurbished Lewis Arms. The organisers and helpers of the walk were amazing and it was such a fun day. Talking to Dewi was fascinating and he made such an effort to prepare for my interview. I’d love to interview more older residents to find out what the village was like. Members of the TON Group also deserve recognition for all the hard work they’ve put in organising community events. Take a look at our timeline below to see what you missed. You can also browse our Social Media Roundup articles for some interesting titbits and photos that we found over the year. You may have noticed we’ve been a bit quiet this year. We took a little break to reflect on the future of the site and to plan some exciting projects for this year. Subscribe to our newsletter for advance notice! Thanks to everyone who’s supported the site over the last year. We appreciate any feedback and ideas you might have.